The image of Ouroboros, the serpent that bites its own tail, is well known in hermetic literature and especially in alchemy. It is generally used to express the idea of renewal, death and rebirth, and the process of cycles in nature. Where did this strange symbol originate. 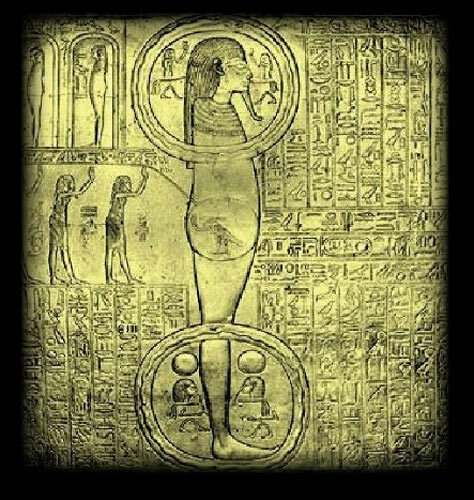 It is often said the the hermetic science had its origins in ancient Egypt. Is it a surprise then that we find the oldest representation ouroboros in the tomb of Tutankhamen? Find out more in my article of The Oldest Ouroboros Depiction. This entry was posted in Alchemy, Ancient Civilizations and tagged egypt, ouroboros, tutankhamen, tutankhamon, tutankhamun. Bookmark the permalink.